United States Clients Came to MOFLON Performing Field Research! 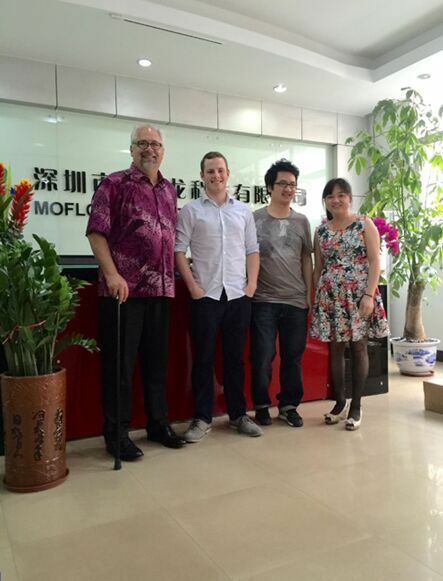 On April 26th, 2015, three U.S. clients from United States came to Shenzhen, China for their visit on MOFLON Company. With practically observing and analyzing, the clients affirmed that MOFLON Company has the strong production capacity and quality control capacity, so they signed contracts for long-term cooperation. Pri: Israel Clients Came to MOFLON Company Performing Field Research! Next Moflon Products Attended the Hannover Messe Trade Fair in Germany!